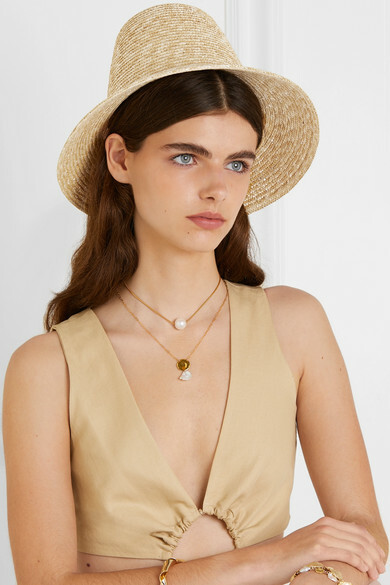 Cult Gaia's founder Jasmine Larian thinks of her pieces as wearable art - from the label's signature totes to accessories like this 'Mia' sunhat, everything has a cool sculptural quality. 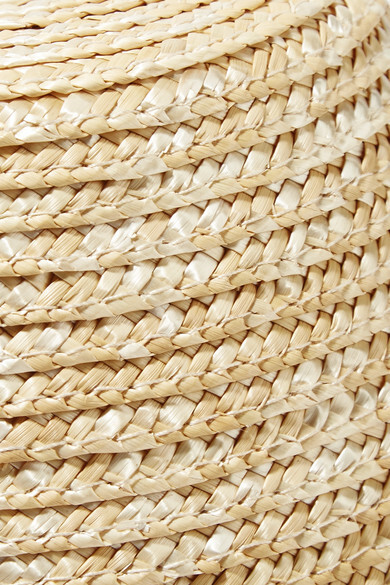 Woven from tactile straw, it has an exaggerated bucket shape and slightly angled brim to shade your face from the sun. Wear it to the beach or lunch al fresco. Shown here with: Mara Hoffman Dress, Alighieri Necklace, Monica Vinader Bracelet, Sophie Buhai Cuff, Isabel Marant Earrings.